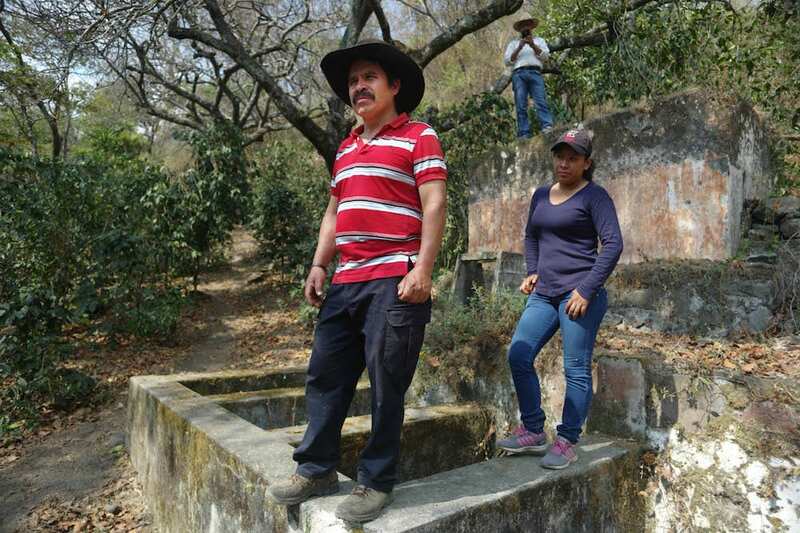 Walfre Baltizar points out the ruins of an abandoned coffee plantation and wet mill in his village of Panabaj near Lake Atitlan in Guatemala and gravely tells us how his community is at a crossroads. 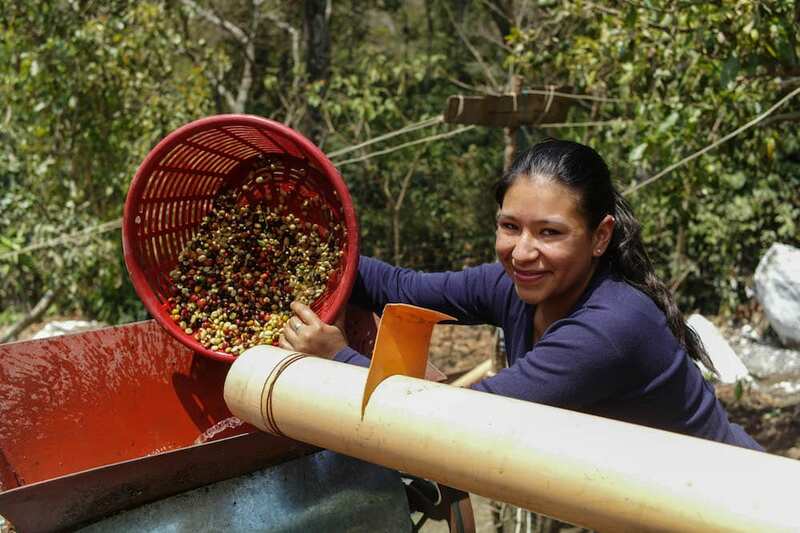 After more than 100 years of growing coffee as an integral part of their livelihoods, families are now abandoning their farms with the new generation choosing to travel to the USA and Canada in search of work. It is a similar story in coffee growing communities across Guatemala and the phenomenon isn’t just being driven by market forces. Climate change is also pushing small farmers out of their plantations. The pattern of rainfall between the dry and rainy seasons has changed. This has reduced yields and made coffee plants more vulnerable to diseases such as roya(coffee leaf rust) and insect damage. Mitigating against the impacts of climate change requires investments in agricultural techniques such as irrigation that many subsistence farmers simply can’t afford. Commanding a higher price in the speciality market is the best hope for famers who are struggling to cling on. Walfe plans to restore his community’s fortunes by taking this step. 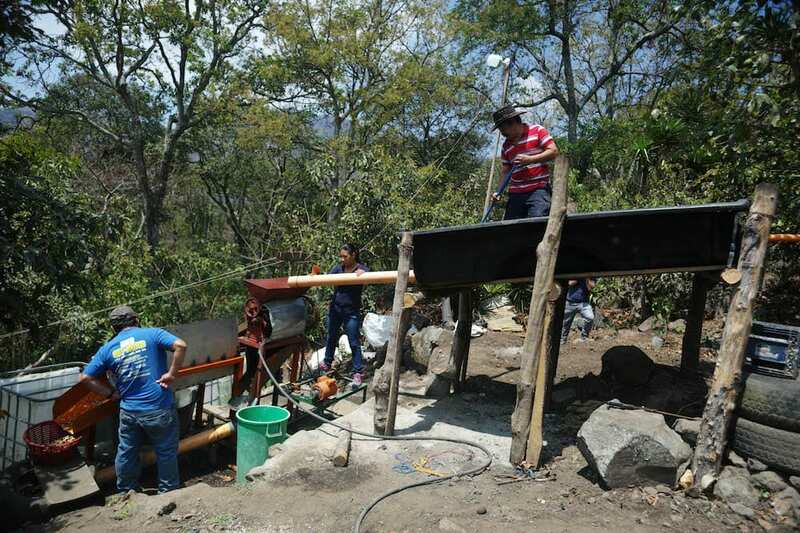 Rather than selling raw coffee cherry for low prices to buyers in the local town he built an improvised wet mill with his extended family to process the community’s coffee. By processing the coffee himself he plans to sell green beans to the international market. We first met Walfre outside the village where he introduced us to his grandfather, Julian Feliciano Santizo Diaz, who first taught him about how to tend to coffee plants when he was a young boy. 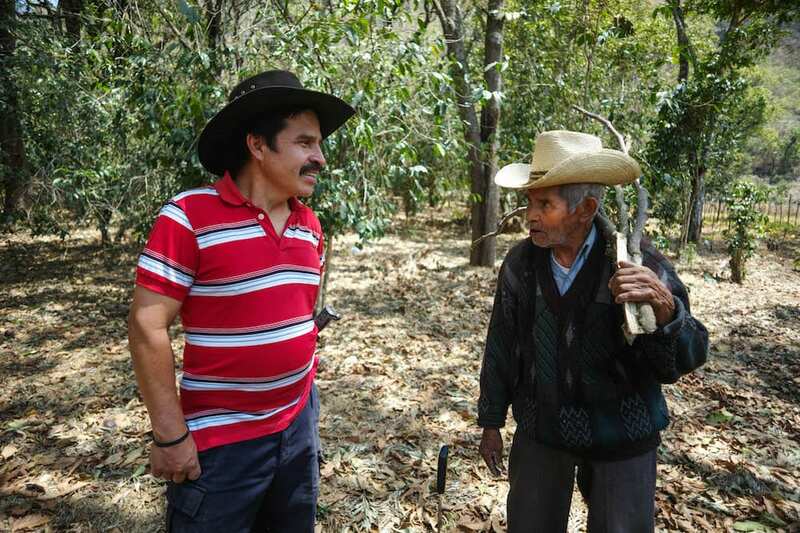 At the age of 93 Julian still tends to coffee plants that are probably touching 100 years themselves and are still bearing fruit. Despite having had three strokes he and puts his longevity down to a strict diet of more than 20 cups of coffee a day from these ancestral trees. Walfre took us for a long meander through the coffee plantation, pointing out long abandoned Mayan ruins along the way. In a clearing by a low house we were lead to the most incredible looking wooden structure supported by the back of a pick-up truck and a whole series of pipes and tanks with a small motor driving a metal cylinder. This is an improvised de-pulper that strips the coffee cherry of its fruit. It looks a bit like a Heath Robinson contraption but is a big step forward from the small manual machine resembling an elaborate meat grinder from the Victorian age that the family used before. Although the community doesn’t have the means to be organically certified the plants are grown entirely by what Walfre calls ‘artisanal methods’. Organic fertiliser made from composted coffee pulp is dug into the base of every plant and greater care is taken with how they are tended..
Walfre runs his plantation and the wet mill together with his niece Jenifer who roasts up a batch of greens in a pan on the wood fired stove in their kitchen. They bring the freshly brewed coffee out to us with a sense of great ceremony and serve it in small glasses on a table with a white cloth. For all our first world snobbery about how coffee should be roasted and brewed it is absolutely delicious and tastes all the better for having been made by such warm and inviting hosts. It is amazing to think that our customers back in Scotland will be enjoying the coffee from this community in a few month’s time. Glen Lyon is buying coffee from Walfre and the other farming families in Panibaj through the Guatemalan importers The Coffee Bird. 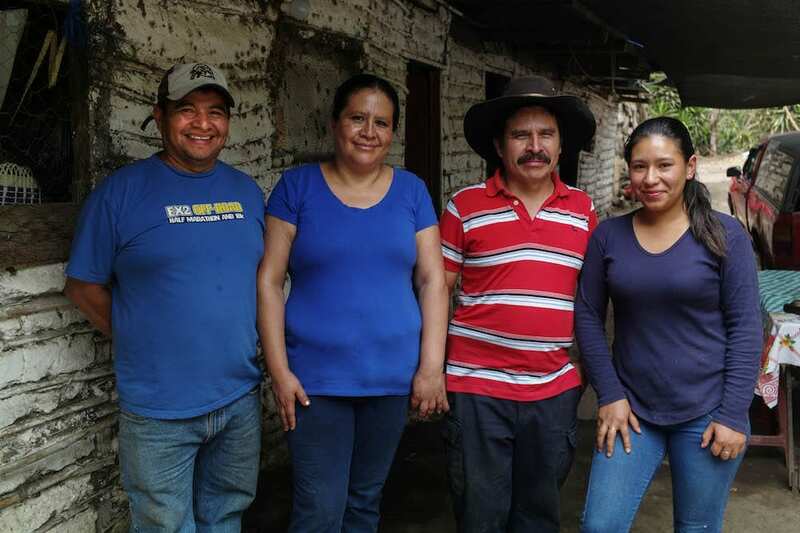 Owner Marta Dalton typically pays the farmers she buys from three times the Fairtrade price and has seen the lives of subsistence farmers transformed as a result. “I’ve seen farmers going from being dressed in rags to putting extensions on their houses and becoming community leaders within a few years,” she commented. 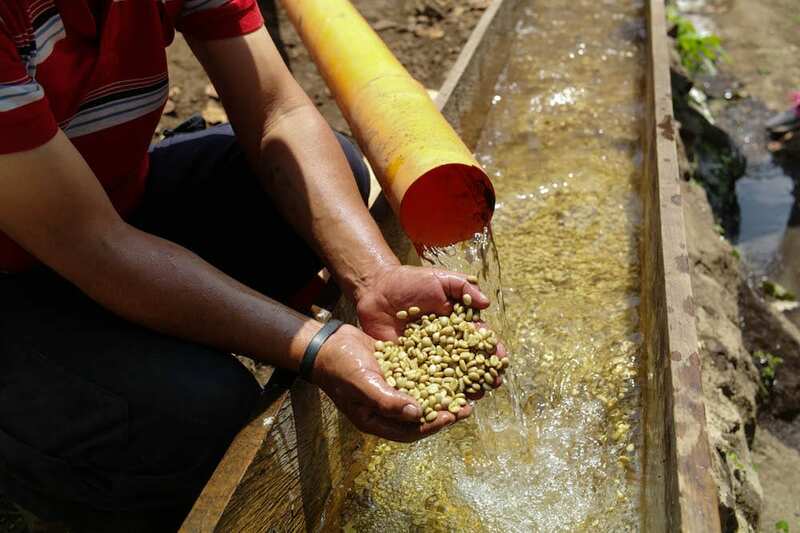 So if you do order a bag or two of our Panabaj Guatemalan coffee this summer you will be supporting a supply chain that stretches right back to Walfe, his family and his village in the green hills of Guatemala. Walfre’s vision is for his wet mill to be one of several in a thriving community that no longer loses its youth to the mirage of brighter future in a foreign country. As Walfre puts it: “Reviving coffee in this community is as much a cultural project for me as an economic one”.